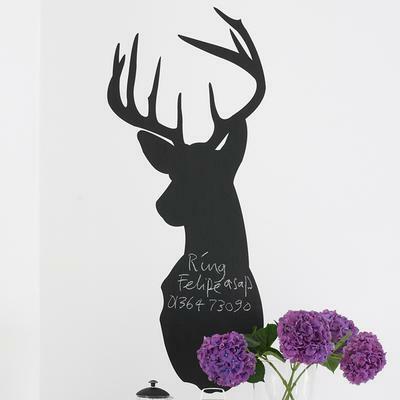 If you don't like dogs or cats, then maybe you would appreciate a stag on your wall instead. 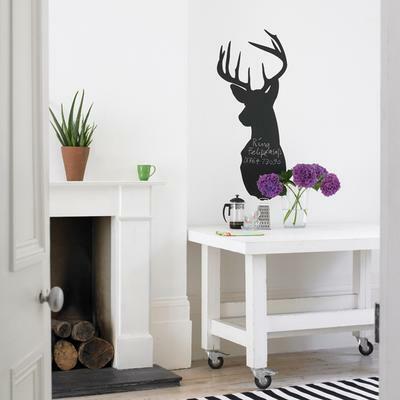 This beautiful Stag Blackboard Wall Sticker is gorgeously detailed. The antlers are stunning while the elegant animal straightens its neck proudly. Apart from the design, this sticker is even more awesome because you can actually write on it! Use it to create memos, lists, or maybe notes. It's great for restaurants, kitchens and other places that want a non-traditional looking menu. This is a striking wallpaper worth checking out.